Job: I teach Pilates at The Pilates Studio in Hadley. Right now I’m working on developing a Pilates-based mobility and conditioning program geared towards runners. Where are you from originally, and (if not from here) what brought you to this area? I’m originally from the town of Bourne, on Cape Cod. I came to the area for college, bounced around the country for a while after graduating, and have been back in the area for a few years now. I’m more of a mountain person than an ocean person, I guess. The Pioneer Valley suits me well. Runner since: The 2016 Summer Olympics got me off the couch and into running shoes for the first time since high school, when I ran one season of cross-country and promptly got sidelined with lower leg injuries. Returning to running and trying to break free from the mindset of a frustrated 17-year old has been enlightening so far, and I’m looking forward to seeing how far I can evolve. Personal Records? 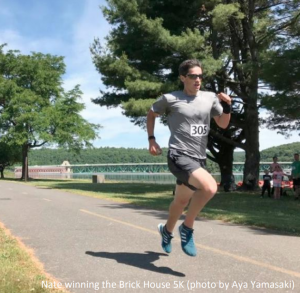 My 5K PR is 19:25 at the Brick House 5K in Turners Falls on June 16th. My 10K PR is 45:59 at the New Salem Rabbit Run on May 19th. But I’m aiming to whittle those down a fair bit this fall. Achievement you’re most proud of (running or otherwise): The running achievement I’m most proud of is finally breaking 20 minutes at the weekly Northampton 5K race. It was starting to feel like it would never happen. Local running/SMAC “claim to fame”: It’s not a claim to fame yet, but I love to sprint hard at the end of a race, and I’m looking forward to deploying my finishing kick to more effect someday, when I’m closer to the leaders.  Favorite distance to race/run: I’ve been focusing on 5K races so far, but I’m not sure I’ve found my favorite distance yet. I’m not a trained sprinter at all (never did track and field, unfortunately), but I really enjoyed running the 200m dash at SMAC’s indoor track meet at Smith this past winter, and so I’d like to do more of that. Sheer adrenaline! Favorite place to run: So far, along the Green River. We’ll see if that’s still true after the marathon in August. Favorite author/book/movie or TV show (s): Favorite movie is probably The Impostors with Stanley Tucci. I don’t watch much TV these days. Favorite author is Nabokov. Interests (besides running, of course! ): Golf, pool, chess, crossword puzzles. Playing the piano. Being outdoors. I’ve been getting into cycling recently as well, and have enjoyed riding with the Northampton Cycling Club. Greatest adventure: I’m not sure this counts as an adventure – more of an adrenaline rush/stupid idea – but I once ran alongside a train, grabbed on, and rode it for a mile or so before having to jump off. I did not stick the landing and got pretty scraped up, but otherwise I would’ve ended up in Vermont. Also, a few years back I packed up and moved out to beautiful Sun Valley, Idaho, basically on a whim, which was pretty exciting. The mountains out there are incredible. Secret ambition: Can’t say. You’ll know it when you see it! Favorite recovery drink: Chocolate milk cut with regular milk. Supposedly there’s research backing it up as a recovery drink, but deliciousness counts too. Recent memorable moment while running? It’s not so recent, but during the Happy Valley Half last year, I had what I can only describe as an out-of-body experience, where I felt like I was floating above myself as I ran (perhaps connected to trying too hard to hold off a pursuer breathing down my neck). I’m guessing that’s something that distance/endurance runners learn to take in stride. Secret tips or good advice? Work on your mobility and your running form. You can always make changes for the better. Training partners? I’ve had some good runs with John Herron and Mike Barlow, who’s also training for the Green River Marathon, and Barry Auskern’s Wednesday night track workouts in Deerfield have been very helpful. I’m trying to learn and absorb as much as I can, so I’m always looking for people to run with. Social facilitation is real! Cross training activities? Pilates and cycling. I’m starting to get back into some strength training too. Favorite season to run in? Hot or cold? Time of day? How come? Toss-up between warm summer evenings at the track and crisp fall foliage-filled mornings. What is one of your biggest running aspirations? I’d like to get a good fast mile time under my belt eventually, ideally under five minutes. My dad casually mentioned recently that his best mile was 5:26, so I’ve got to beat that at least. Favorite piece of running gear: I finally bought a Garmin and now I see what the fuss is all about. Data is fun. What was the last running event you participated in? The Brick House 5K in Turners Falls, organized by Dawn Montague of SMAC. First time in my life I’ve won a race! Favorite non-running activity: These days, seeing my baby nephew, Arjun. I’ve already nicknamed him Chargin’ Arjun. His dad doesn’t know it yet but he’s going to be a runner, no question. Personal goal for 2018: Finish the Green River Marathon in August, injury-free, and stay healthy through the fall. Best advice you ever got: Keep going. If you could pick one superpower to have, what would it be? Invulnerability. That’s a good one to build around.